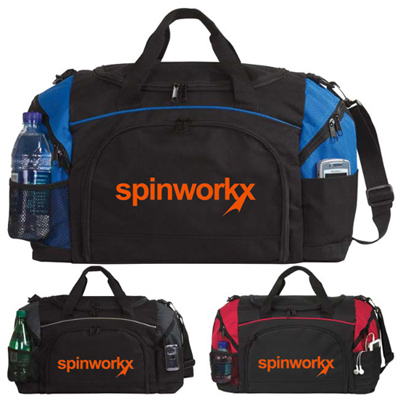 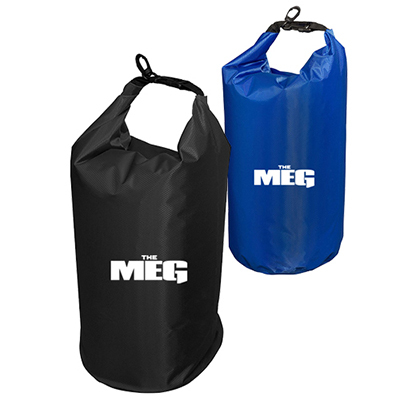 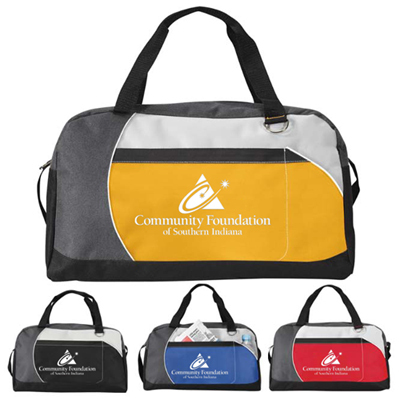 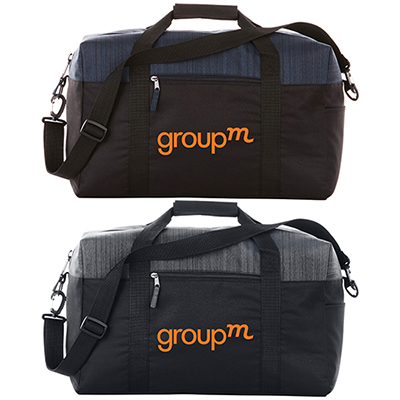 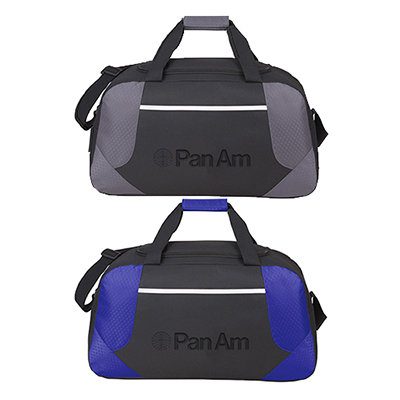 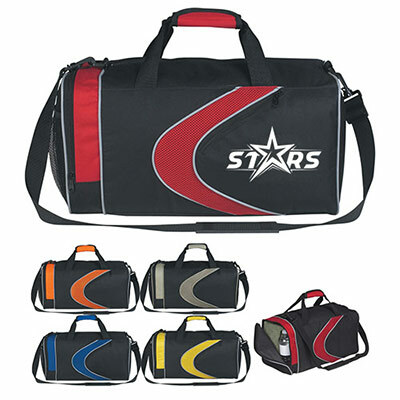 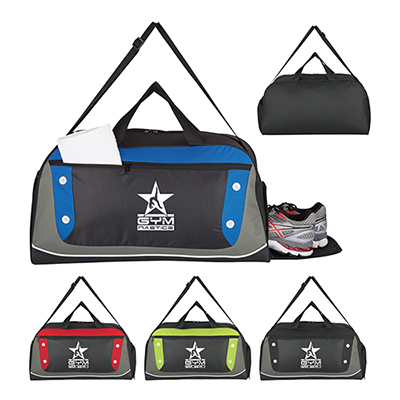 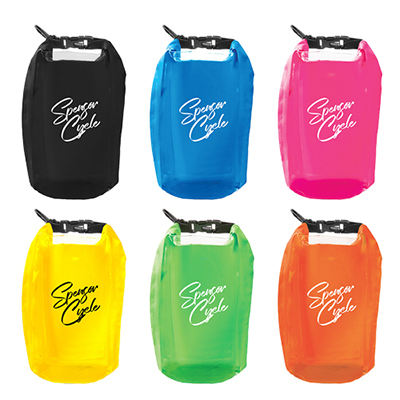 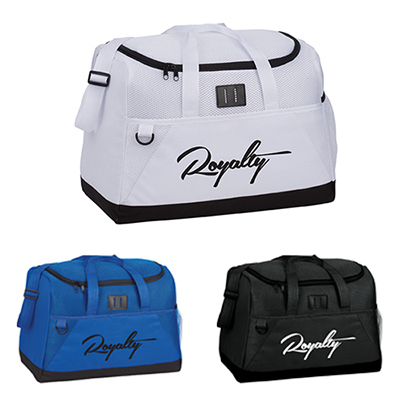 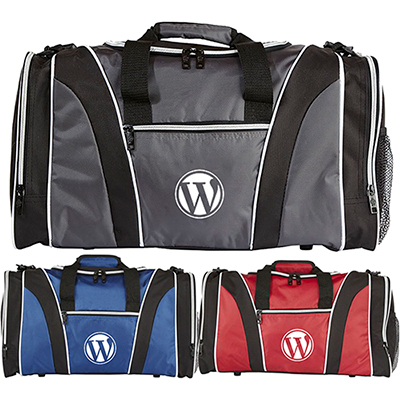 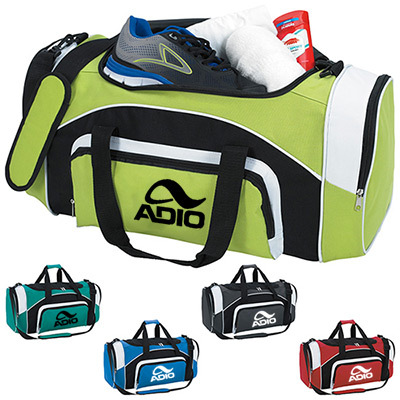 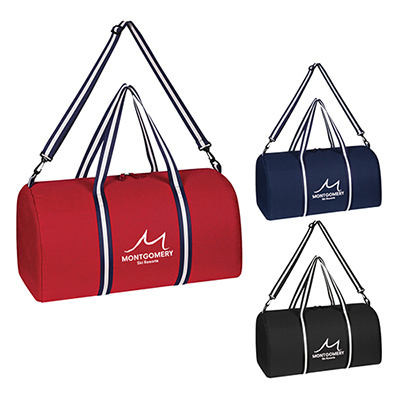 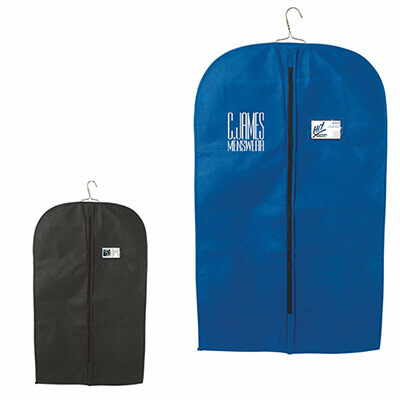 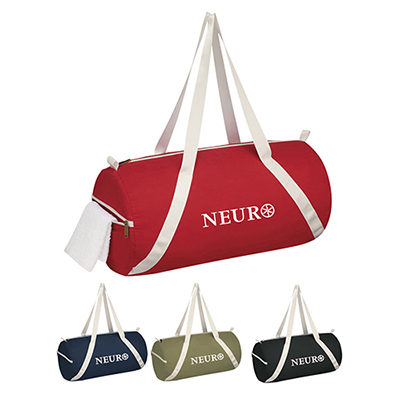 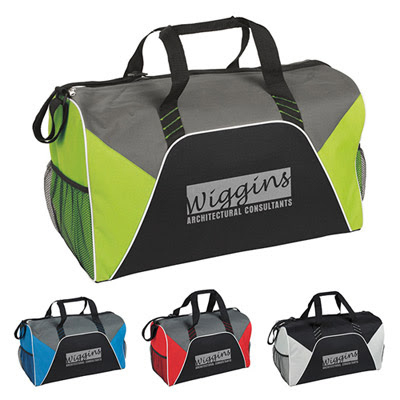 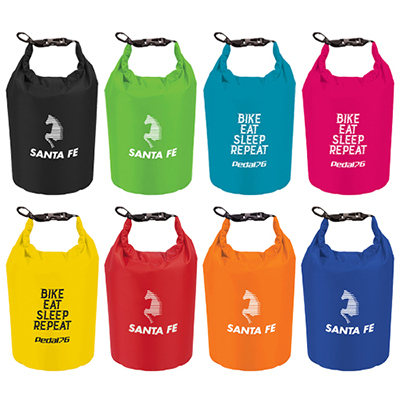 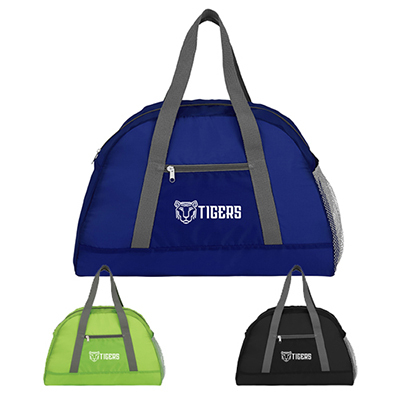 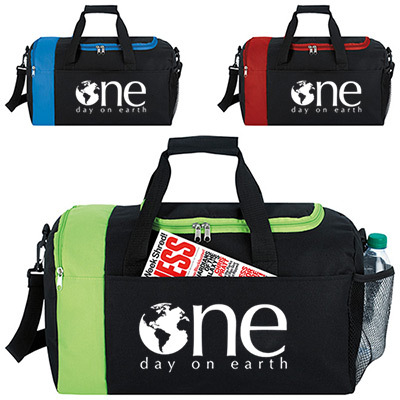 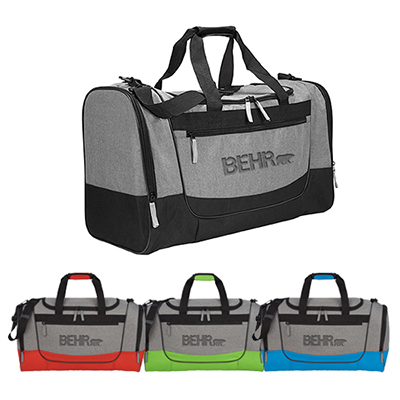 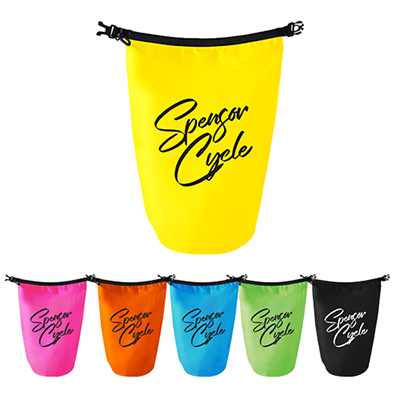 Personalized sports duffle bags by Promo Direct are stylish, durable and available in exciting colors. 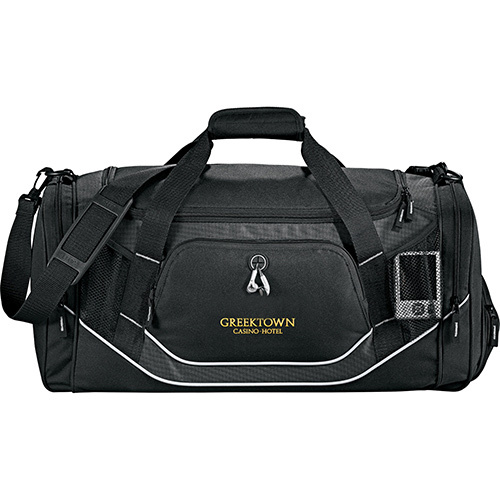 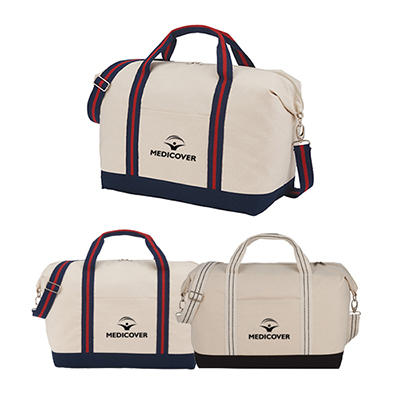 Whether you need personalized sports duffle bags for the gym or a classic leather weekender for a vacation, you'll find it here. 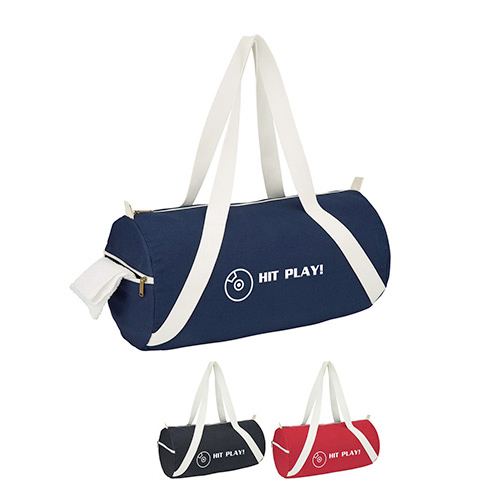 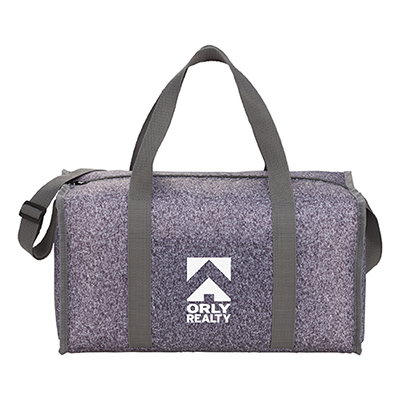 Whatever be your promotional budget, we have the right duffle bag for you.Initially, duffle bags were only used when going to the gym, but there are many other uses for this bag. 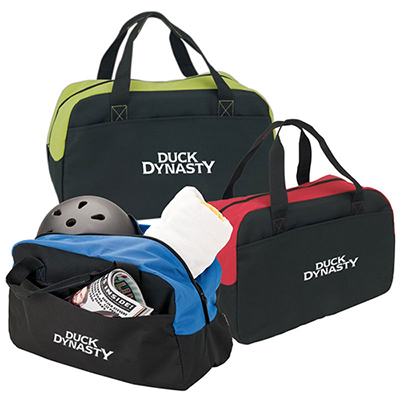 Duffel bags are well-suited for traveling, storage and even camping. 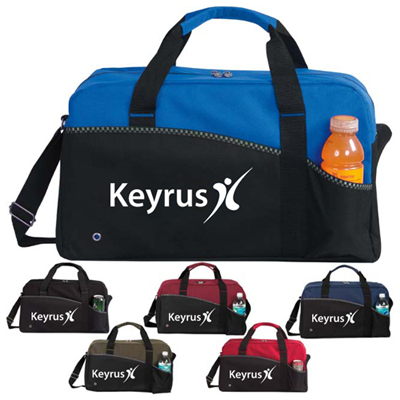 Logo duffle bags are available in various materials like polyester, nylon and even leather.Choose logo duffle bags depending on your target audience.For students and young executives, a polyester or nylon bag is a good option while a leather bag is a wonderful choice for corporate clients.Duffle bags by Promo Direct have new features such as shoulders that are detachable, adjustable and padded. 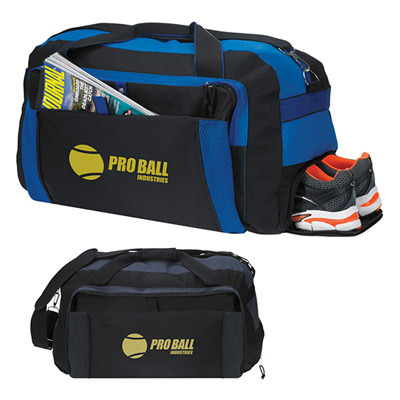 The bags also feature front zippered main compartments, mesh pockets and elastic mesh pockets. 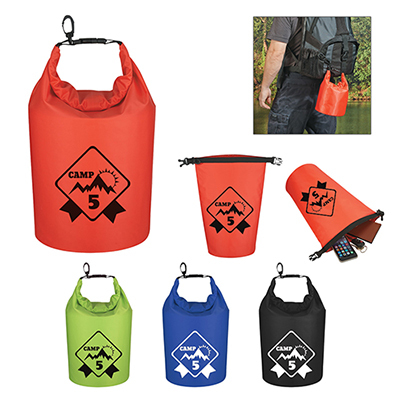 These bags also have bottle pockets; carry handles and shoe pockets, which makes it an ideal accessory while hiking. 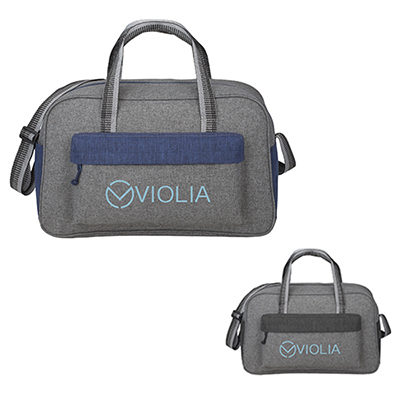 For those who love their gadgets, opt for bags with pockets and features designed to carry media accessories, ear bud ports, media pouches and headphone ports.What better way to advertise your company than having your name and logo on a duffle bag. 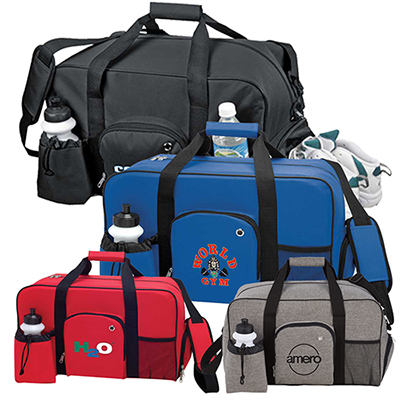 There are many different methods of imprinting - choose from silk screen, transfer print or debossing. 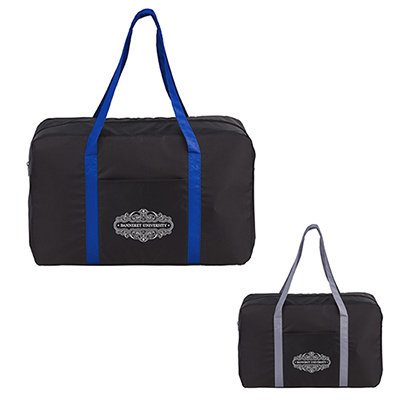 With the help of duffle bags, you can promote your company and advertise for years to come.Place your order today by calling us or ordering online!